Learn how to profile your audience to help you make informed marketing decisions. All successful communications and marketing activity is underpinned by the need to connect with people - and that's an almost impossible task if you don't know exactly who you're trying to reach, where you're most likely to capture their attention and what kind of conversation is going to interest them. Understanding your audience gives you the power to make informed decisions - big and small. Knowing precisely who you're targeting is a crucial part of developing an effective marketing and communications strategy for your organisation or brand, but it's also just as important when you sit down to write a blog, create a social media post, or develop a flyer. By putting the people you serve at the heart of your decision making process, you'll ensure you reach your audience, with content that will truly make an impact. There are a variety of methods for gaining a better understanding of your target audience/s and a quick Google search can quickly send you into a vortex of detail. The important thing to remember is that even a generalised outline of your target audience is far better than trying to share your message with anyone and everyone. A good place to start is developing an audience profile for the primary group of people you communicate with. For example, you could profile your ‘ideal customer’ or ‘ultimate donor’. Before you begin profiling your target audience, it pays to do your research. You cannot underestimate the value that your existing audience has to offer. Use available data to begin to build a picture. Take a look at your website analytics, social media platform insights, information collected via forms, data in your email list - anything that provides demographics or useful feedback. To gain a more in-depth understanding of your audience, it's useful to conduct a survey and/or audience interviews to identify exactly why your current supporters choose to support your organisation or brand over other options. This type of research is particularly important if you're about to launch a new product, service or campaign; it pays to test your assumptions with your audience before making any big business decisions. When it comes to profiling your audience, more is actually more. A seemingly small detail - like the fact that most of your audience drives to work - could make all the difference when it comes to planning your communications and marketing. Those who drive to work are captive audiences for radio. 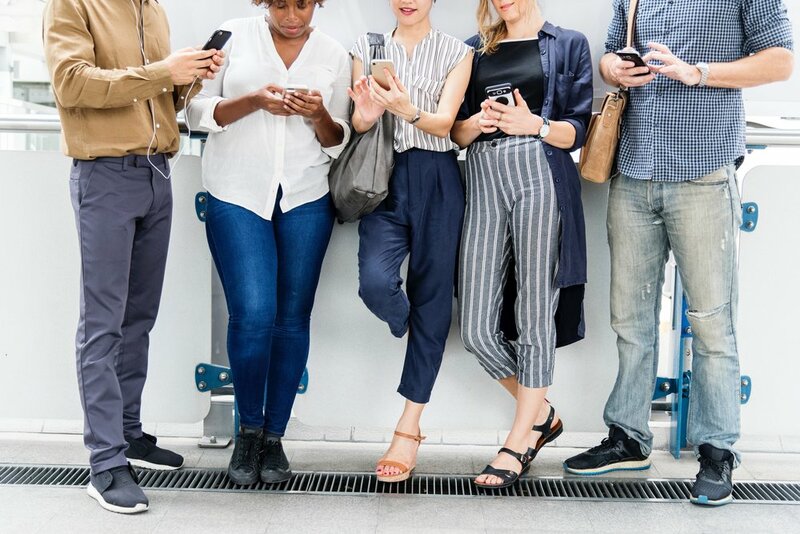 However, if your audience is more likely to use public transport, they're probably reading up on the day's news on their phone, scrolling through social media or listening to a podcast. Demographics: What are your ideal customer/supporter’s likely demographic attributes? Age? Income? Gender? Lifestyle: What type of job do they have? What type of lifestyle do they have? What is their stage of life or life situation? Behaviours: What products, services or causes do they engage with? How do they usually shop? Where do they spend most of their time online? What do they read? Where do they get their information? Attitudes/values: What issues matter to them most personally and professionally? What are their attitudes that relate to or could impact on what you’re offering? Do they care about what you’re offering and why? Challenges/limitations: What are their biggest challenges in life? What are the biggest challenges they face in regards to what you’re offering? How can you help them? What problem do you solve? Motivations: What do they want to achieve in their role/life? What motivates them to do what you want them to do? Who/what influences their decisions? A tool we often use to better understand the behaviours and motivations of particular audiences is Strategyzer's 'Value Proposition Canvas'. It's a simple way to uncover what your customers and supporters need, and how you can help them - there's even a tutorial video. The Value Proposition Canvas from Strategyzer is a powerful tool for gaining a deeper insight into what makes people choose your organisation, product or service over others. Source: Strategyzer. Once you begin to look deeper into your organisation or brand's audience, you'll likely discover there are different sub-groups that make up your 'ideal customers' or 'ultimate donors'. If you're looking to take your communications and marketing to the next level - and get really targeted with your messaging - it's a valuable exercise to develop 'personas' for each of your audience sub-groups. Personas are fictional people who represent a specific subset of your audience or market. It's common to create personas for different demographics, roles or behaviours within your primary audience. For example, your potential donors could be divided into personas such as: ‘Philanthropic retiree’, ‘Businesswoman with social conscience’, and ‘Young crowd-fund contributor’. Each of these personas will follow a unique path to becoming a donor, interacting with different channels and points of influence. Each persona will be also be motivated by distinct messages. By understanding unique personas' needs you can execute extremely targeted digital marketing, craft meaningful content, get published in the right niche publications - and so much more. Your personas should be detailed and relatable, with a name and a visual to represent them. In addition to the exercises we've outlined above, the 'Persona Canvas' from Design a Better Business is a useful tool for fleshing out the sub-groups you want to connect with. This 'Persona Canvas' is an effective tool for building audience sub-group profiles. Source: Design a Better Business. Once you've done all the hard work to understand your audience, it's important you put this knowledge to work. Too often we see quality audience research tucked away in a marketing strategy folder for another day, but it should be something you use almost every day when you're communicating. Share your audience profile and/or personas with your wider team to ensure everyone is singing from the same song sheet when they're communicating. Print out a copy of your hard-earned audience insights and keep it on your office wall - there's nothing like a visual reminder to help you keep on track with your marketing. Refer to your research when planning content and campaigns. Keep your focus on the people you serve - we cannot stress this highly enough! If you need a sounding board or some support to develop an understanding of your audience, and how you can best connect with them, get in touch. As expert communicators, we're well-versed in engaging audiences from all walks of life.